Edinburgh Castle is to join landmarks from around the world in switching off its lights later this month to help raise awareness of the impact of climate change. The castle is one of a number of global landmarks – including the Eiffel Tower, Empire State Building and Sydney Opera House – to take part in Earth Hour, a WWF event which sees individuals, communities, cities and landmarks around the world switch off their lights simultaneously to show their support for action on climate change. Edinburgh Castle is one of a number of Historic Scotland attractions that will be turning off their lights for one hour on 29 March 2014 at 8:30pm. Other participating Historic Scotland sites are Linlithgow Palace, Urquhart Castle, Stirling Castle, Castle Campbell, Dundonald Castle, Ruthven Barracks and Arbroath Abbey. Launched in Australia in 2007, Earth Hour has grown to be a global phenomenon with hundreds of millions of people around the world participating. This year, 154 countries are expected to take part, with activities on social media being monitored using the hashtag #BeBrilliant. Susan Loch, Head of Visitor Operations for Historic Scotland said: “A grassroots movement which has grown into a global phenomenon in just a few years, Earth Hour does a wonderful job of highlighting the problem of climate change. I am delighted that we will once again be supporting this worthwhile cause by joining landmarks around the world to switch off the floodlights at a number of our properties. Lang Banks, Director of WWF Scotland said: “It’s fantastic news that Historic Scotland is supporting WWF’s Earth Hour yet again in 2014. This year looks set to be another amazing event with people, organisations and communities up and down the country joining together in a dramatic hour of action on climate change. 1 Nov 2013 – Edinburgh Castle has been voted the top UK Heritage Attraction in the prestigious 2013 British Travel Awards, the largest awards programme in the UK. 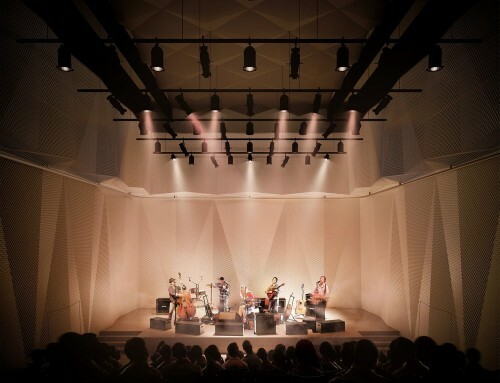 The announcement was made at an industry event in London on 31 October. 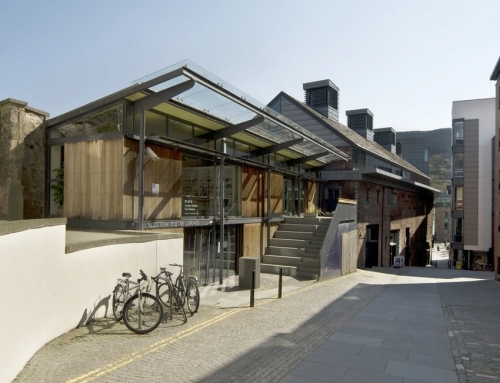 The iconic historic attraction was also awarded the accolade of Top UK Heritage Attraction in 2011 and 2012 and this year was the only Scottish attraction to be short-listed. It is Scotland’s number one paid-for tourist attraction and attracts more than 1.2 million visitors a year. 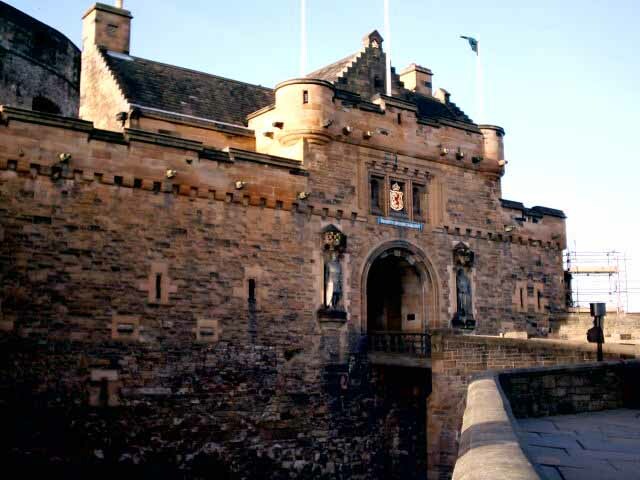 Fiona Hyslop, Cabinet Secretary for Culture and External Affairs said: “To win this prestigious award three times in a row confirms that Edinburgh Castle’s fascinating history, dramatic location and panoramic views have an enduring appeal for visitors of all ages both in the UK and around the world. British Travel Awards’ chief executive Lorraine Barnes Burton added: “This year more than one million votes were cast by consumers to determine the winners of the coveted British Travel Awards – making it the largest awards programme in the UK; to win is truly an accolade. 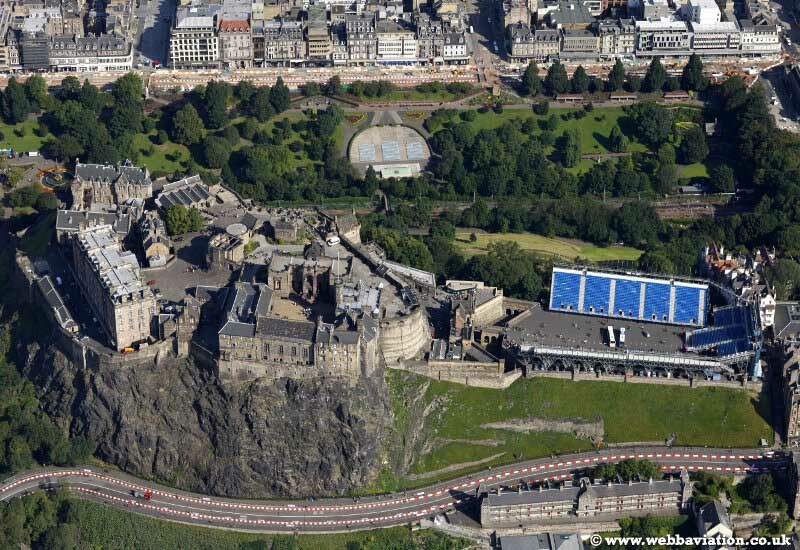 11 Jan 2013 – Edinburgh Castle has fitted insulation made of sheep’s wool. The attraction uses the rough energy equivalent of 300 homes but has cut its carbon footprint by 18 per cent in the last year. Sheep wool is breathable (allowing moisture and dampness out), easy to handle, sustainable, fire resistant and has great thermal qualities. Other eco measures include insulating exposed pipes, installing energy efficient light bulbs and fitting smart meters. 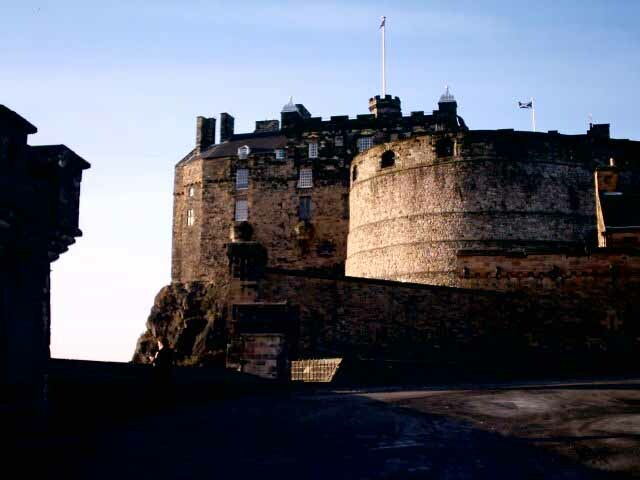 Historic Scotland has announced that its drive to cut energy consumption from Edinburgh Castle, which plays a major part in the agency’s aim to reduce overall carbon emissions, is well ahead of target. New figures show that the Castle, which attracts more than a million visitors every year and accounts for nearly a third of all Historic Scotland’s energy consumption, reduced its carbon footprint by 18 per cent in year 2011/12, compared to the baseline year. This exceeds the agency target of 10 per cent. The cut also represents a major cost saving, with last year’s bill of £291,000 down from £400,000 in the baseline year of 2008/9. This drop of 27 per cent was achieved despite rising fuel costs, two colder than average winters, and increasing visitor numbers at the Castle. At Historic Scotland, Head of Sustainability, Research and Technical Education Ewan Hyslop said: “This remarkable reduction has been achieved through a multi-faceted approach that involved upgrades to boilers, an improved building energy management system, enhanced lighting controls, and better insulation. 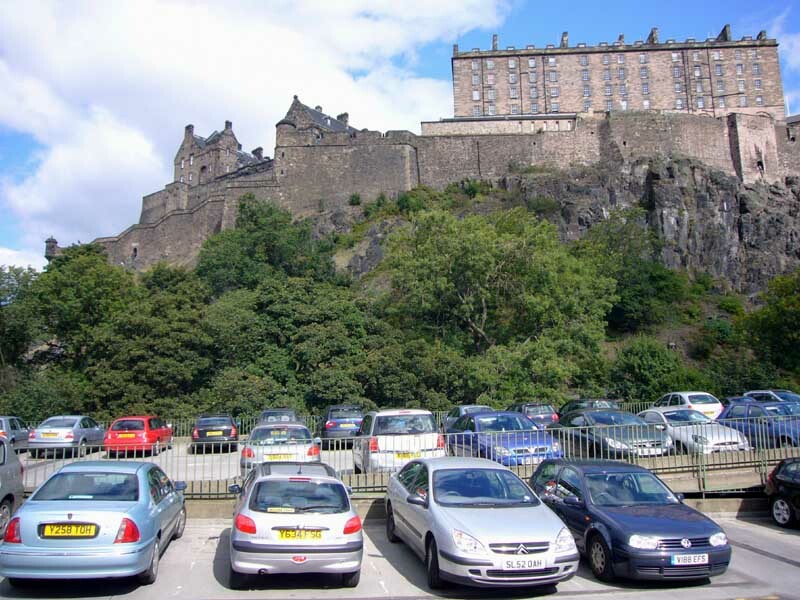 Energy use at Edinburgh Castle is sufficient to power around 300 homes, and savings at this site can have a significant impact on the agency’s overall consumption. 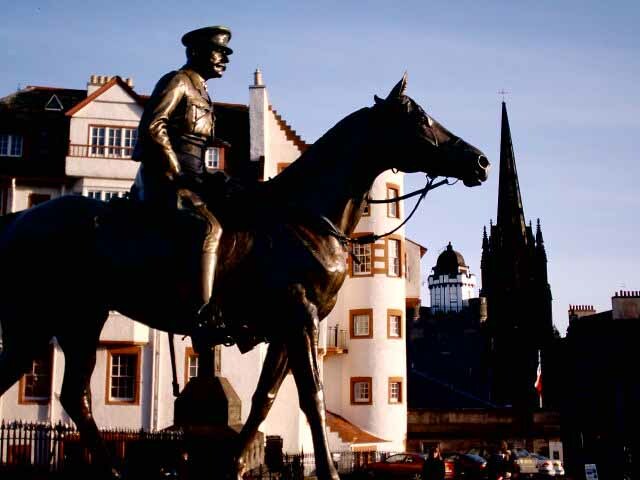 Ewan added: “We’ve recently installed new boilers, controls and pumps at Edinburgh Castle, and we’re just starting to see the benefits – analysis of year 2012/13 to date show we are on course for carbon reductions of 24 per cent against the baseline year. 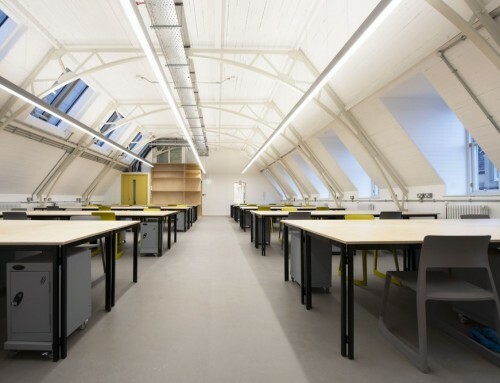 Energy use in the agency’s buildings accounts for nearly 90 per cent of total carbon emissions. 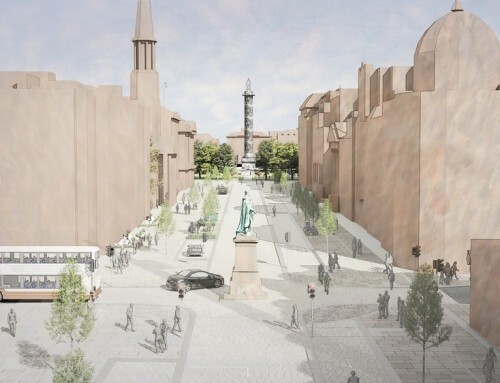 Historic Scotland is also applying its expertise to cut carbon emissions at other sites around the country, including works depots and offices, and at its headquarters in Edinburgh. 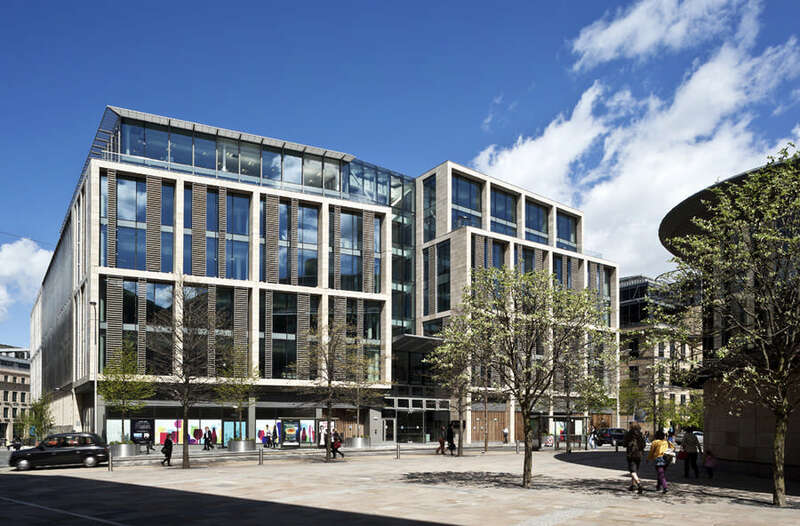 Around a tenth of the agency’s carbon emissions derive from business travel and fuel consumption, and the processing of water and waste – factors which Historic Scotland is also acting to reduce. 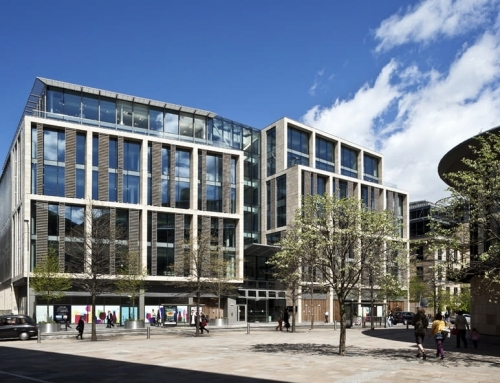 The agency has set a carbon emissions reduction target of 25 per cent, to be achieved by 2015. 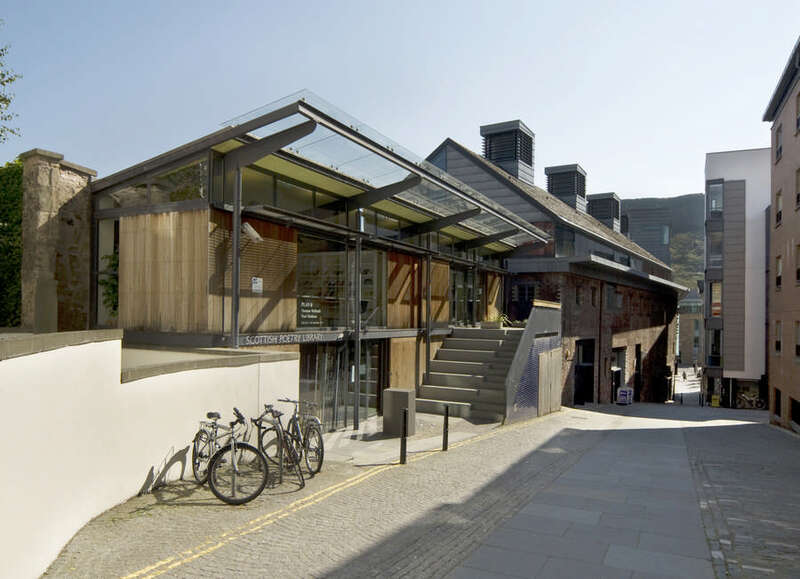 Historic Scotland has published proposals for achieving this figure in its Carbon Management Plan, which was published in 2011. 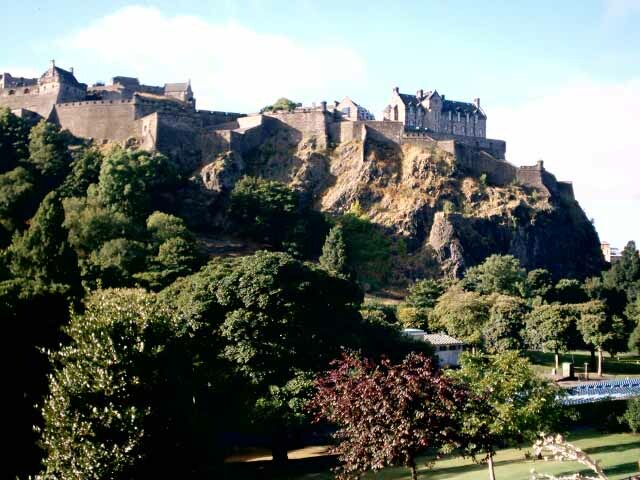 Edinburgh Castle contains Edinburgh’s oldest building but is also considered as the original settlement thousands of years ago: the castle is defensible due to the rocky outcrop and has access to fresh water via a well. Edinburgh Castle is visited annually by approximately one million people. Edinburgh Castle offers good panoramic views of the city. 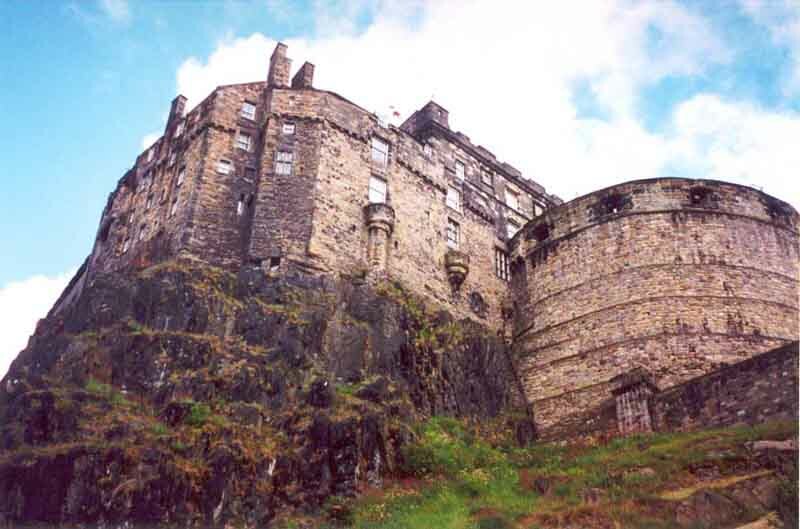 Edinburgh Castle was the seat (and regular refuge) of Scottish Kings. King James VI of Scotland [James 1 of England upon the death of Queen Elizabeth in 1603] was born in the castle by Mary, Queen of Scots. The ancient Honours of Scotland – the Crown, the Sceptre and the Sword of State – are viewable in the Crown Room; the ‘infamous’ Stone of Destiny has also been kept here at the castle. The Scottish National War Memorial, designed by Lorimer, built shortly after World War One is another highlight in the castle. Edinburgh Castle is also the home of the One O’Clock Gun. This is fired every day except Sunday at precisely 1pm, a wonderful city institution, a reminder to break for lunch. The Edinburgh Castle Esplanade hosts annually the world-famous Edinburgh Military Tattoo over a three-week period in August. The Scottish Army & various guests present music, marching and historical reenactments under floodlights. 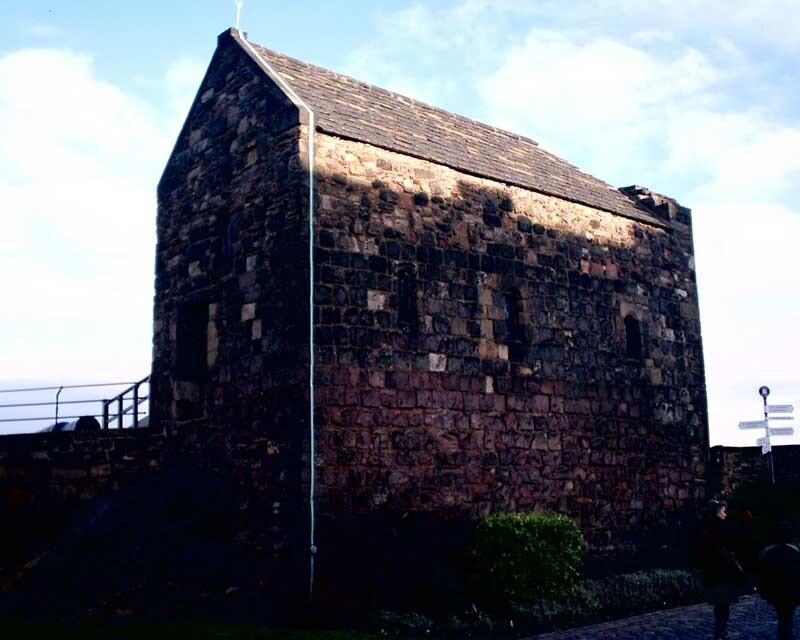 The oldest building at Edinburgh Castle is St Margaret’s Chapel (above), which survived various sieges due to its religious significance: it was probably requested by King David, following his mother’s (Queen Margaret, d.1093) death at this site. Members of Edinburgh Castle garrison still have the right to marry in the Chapel building. Edinburgh Castle sits on the volcanic rock – the ‘crag’ of glacial ‘crag and tail’ – with the tail being the Royal Mile tapering mound which falls down to Holyroodhouse. Fronting the Castle is a gently sloping rectilinear space called the Castle Esplanade. This is a good viewing point for the city. There is evidence of human habitation on the Castle Rock – 135m above sea level – as far back as the Bronze Age. The early fort was called Din Eidyn, and was occupied by the Votadini, a local Celtic tribe. The Votadini were also present at another settlement on another volcanic rock, Traprain Law, just east of Haddington. In 1174 to 1186 Edinburgh Castle was given to the English by King William the Lion with four other Scottish castles as security for his ransom. During the Wars of Independence (1296 – 1342) the Castle changed hands four times. Robert the Bruce won Edinburgh Castle back from the English in 1314. Edward III of England built a new castle in 1335 but held it only until 1341. 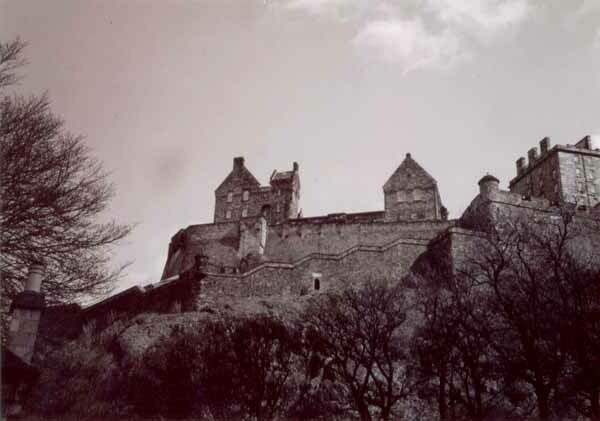 Other Edinburgh Castle buildings include Craigmillar Castle, Dalkeith Castle, Lauriston Castle. 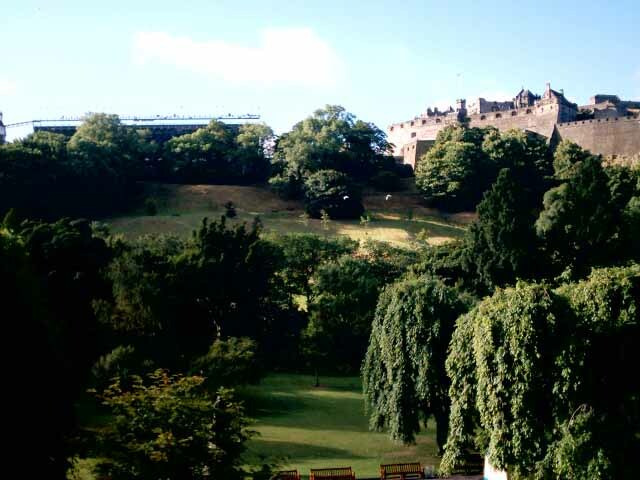 There has been a proposal to relocate the Edinburgh Military Tattoo in the west part of Princes Street Gardens, below Edinburgh Castle. The structurally-expressive temporary stand – erected annually – on the Edinburgh Castle Esplanade is reportedly insufficient for current needs. The Military Tattoo takes place in front of the castle every Edinburgh Festival for three weeks. 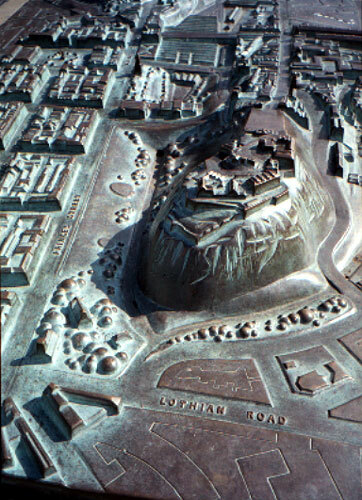 In the mid-eighties Morris and Steedman (Architects) were commissioned to produce detailed plans for a 10,000 seat Edinburgh Tattoo arena ‘below’ Edinburgh Castle, unveiled in 1989 to much controversy. 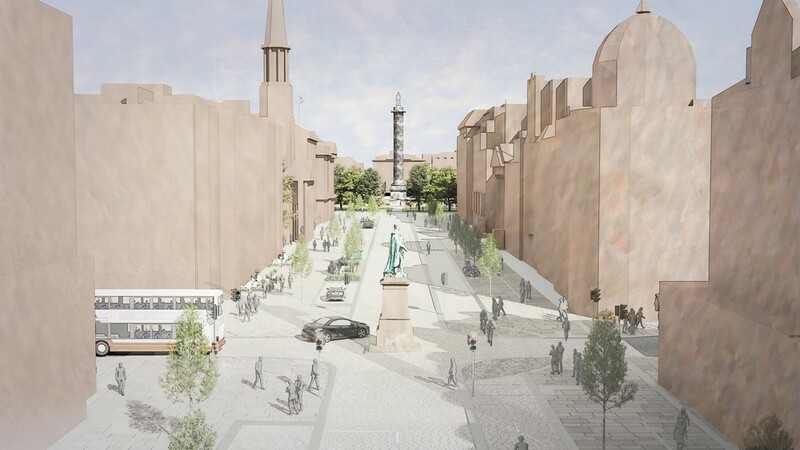 Princes Street Gardens are protected but limited building work has been undertaken latterly as part of the RSA’s Playfair Project. Morris and Steedman’s Tattoo Arena was apparently influenced by the Acropolis parti in Athens. The Edinburgh Tattoo began in 1950 at Edinburgh Castle and sells around 200,000 tickets per annum and is watched by approximately one million people on TV. The Edinburgh Tattoo is highly iconic and rooted in Highland traditions, yet the structure is vividly modern, its cantilevering metal spaceframe contrasting with the worn stone context. Although it is temporary, for many visitors (ie for the Festival or typically every Summer) the Edinburgh Tattoo is always there and thus a fascinating modern intervention in the absolute heart of the City at the head of the Old Town’s royal axis and high above the city so massively visible: it shouts ‘the Festival has started’. Image above from the Castle Esplanade showing Earl Haig with, beyond, Ramsay Gardens on left, and the Hub on the right.